GeoGlobal has a 10% Carried Interest in the KG Block. Flare from KG #8 highlights the gas pressure. Following expenditure of over US$3 billion by the partners to date, pre-production testing for mainland gas delivery has been conducted and on commencement of commercial production gas delivery is expected to scale up to over 200MMcf within 3-4 years. In late 2009, when gas pricing economics was Management Committee approved at US$5.60 per MMBtu, the Gujarat State Petroleum Corporation Limited (GSPC), promoted by the State Government of Gujarat, and the field's 80% partner and operator was reported to be selling down a 5% interest to Indian Banks and institutions for US$225 million. Final gas pricing per MMBtu is expected to exceed the economic pricing. The KG Block of some 530.5 sq km is on the east coast of the state of Andhra Pradesh in South Eastern India in the Krishna-Godavari Basin, of which only 17 sq km in Deen Dayal West, and a 20.5 sq km area extension is under development, with gas production to be provided from the field through submarine pipe into a major Indian distribution grid through to Mumbai and Gujarat State. The Krishna-Godavari Basin is credited with many of India's recent significant oil and gas discoveries, and the KG Block holds immense promise with a further six discoveries of significant oil condensate and gas within the greater Block area yet to be developed. The Ministry of Petroleum and Natural Gas of the Government of India (MoPNG) approved an extension of 20.5 sq kms to the existing contract area for the Krishna-Godavari in January 2012, thereby increasing the approved mining lease area (within the 530.5 sq km KG Block) for Deen Dayal West from 17 sq kms to a total of 37.5 sq kms. GeoGlobal has a 10% Interest in the KG Block to be carried through to production. AIM listed Jubilant Energy holds a 10% Participating Interest, and GSPC, the Operator, holds the balance Participating Interest. To date, the consortium has drilled 13 exploratory wells (nine of which were successful discoveries), five appraisal wells and three completed development wells in the block. 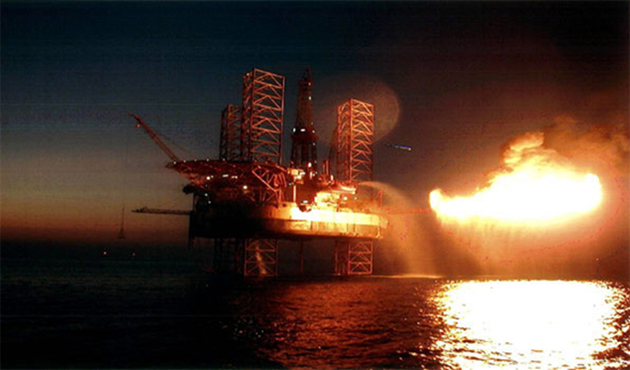 Gaffney, Cline & Associates audited the Reserves & Resources for the Deen Dayal structural complex, and as of 31 May 2012, the gross 2P reserves of Gas and Condensates in Deen Dayal West have DOC approved 1,612 Bcf and 32.2 MMbbls, respectively. The GeoGlobal gross share of this phase is 101.5 Bcf for the current assessed recoverable gas. Additionally, 2C contingent resources of 5,999 Bcf of gas and 125.7 MMbbls of condensates are considered under the original development of the DDW and DDW extension areas. Only two to three wells are being put into initial production, and subsequently, an additional 12 production wells will be completed in the Deen Dayal West area. Of 25 offshore wells drilled to date six wells are production ready and linked into completed delivery infrastructure. The Declaration of Commerciality by the Indian Ministry of Petroleum and Natural Gas for six of the discovery wells (KG-16, KG-22, KG-31, KG-21, KG-19 and KG-20SS) in Block KG-OSN-2001/3 has considered 2C contingent resources to be 3,684 Bcf. © Copyright Key Capital Corporation. 2014/2017. All Rights Reserved.